#216. Fountain Court (Middle Temple). 6 x 8, etching on heavy paper. 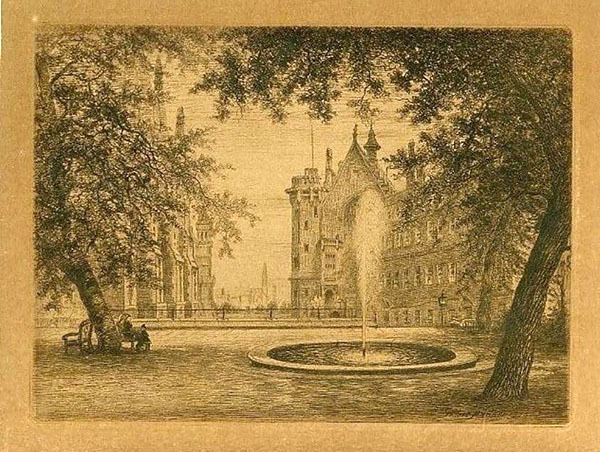 On the plate: "Fountain Court" lower left; "Gilbert Munger" lower right. One of a group of six etching of London. See #213 for additional information. 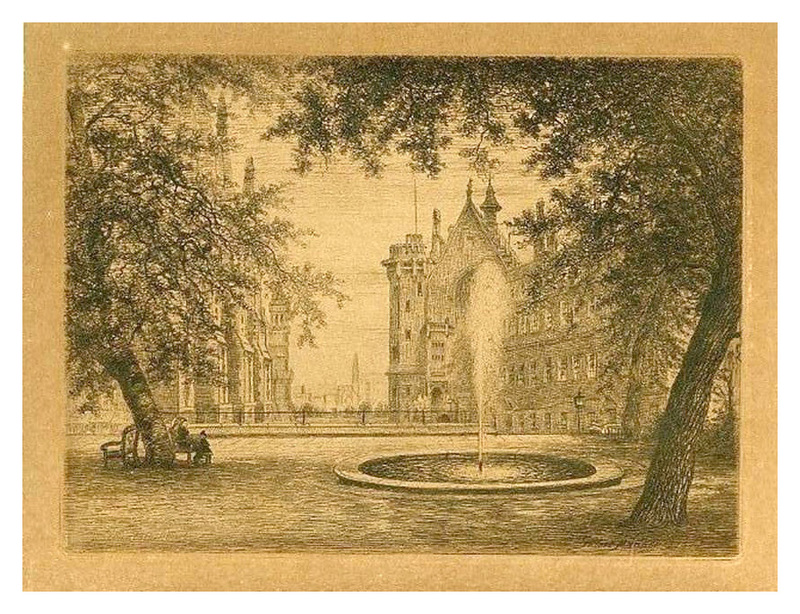 One instance of this etching has been in the collection of the Harvard University Law Library since the first half of the 20th Century (Hollis No. 006828941), but cannot be located by the library staff currently. A second instance was purchased by a collector in a South Windsor CT antiques shop. A third instance was purchased at an antiques fair in Essex County UK by a collector "20 or 30 years ago." Image from owner's email.